The dry leaves smell of spices, but no leaves. 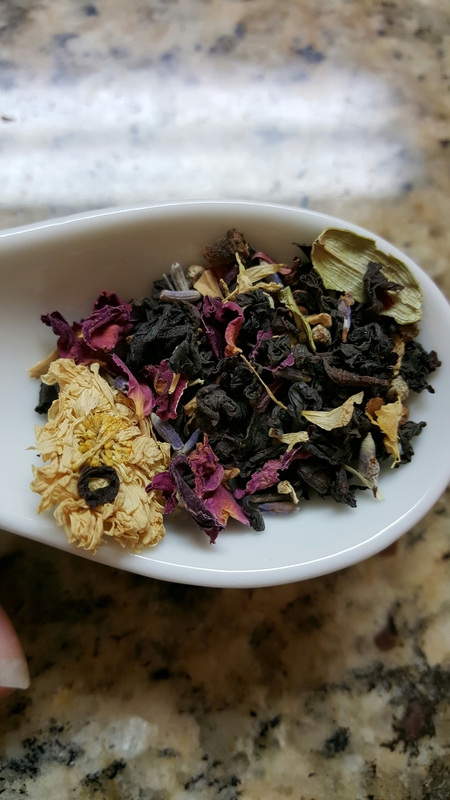 The components are beautiful and add great colors to this tea. 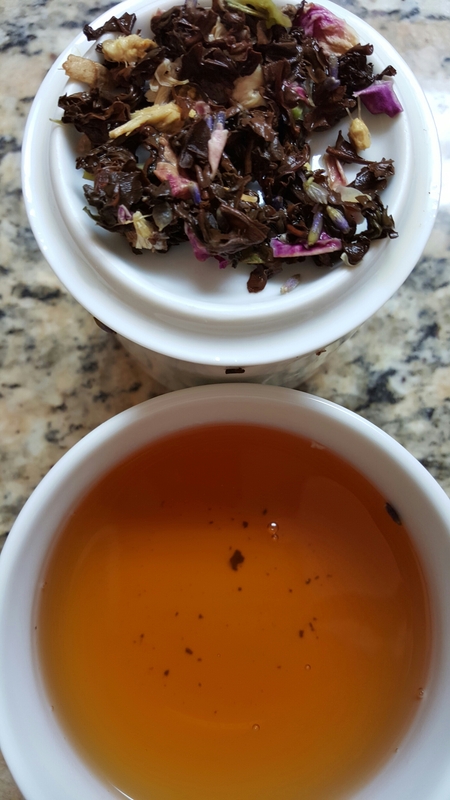 The tea leaves themselves look healthy and of great quality! The wet leaves have a cardamom smell. 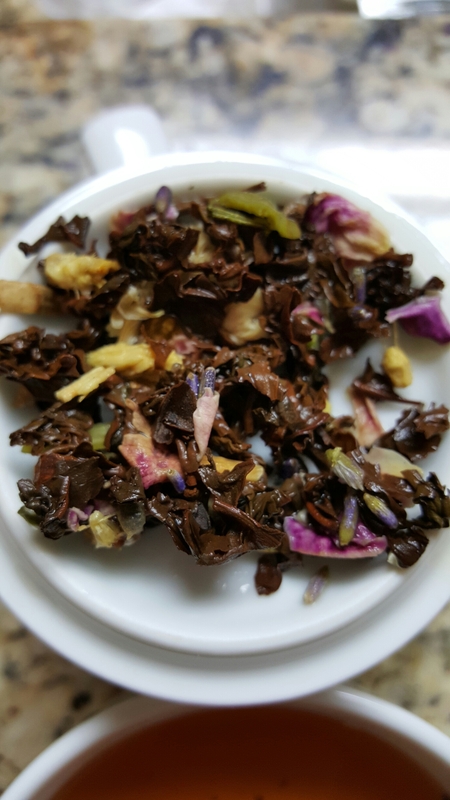 The leaves are strong and have a chocolate brown color, which looks very elegant. 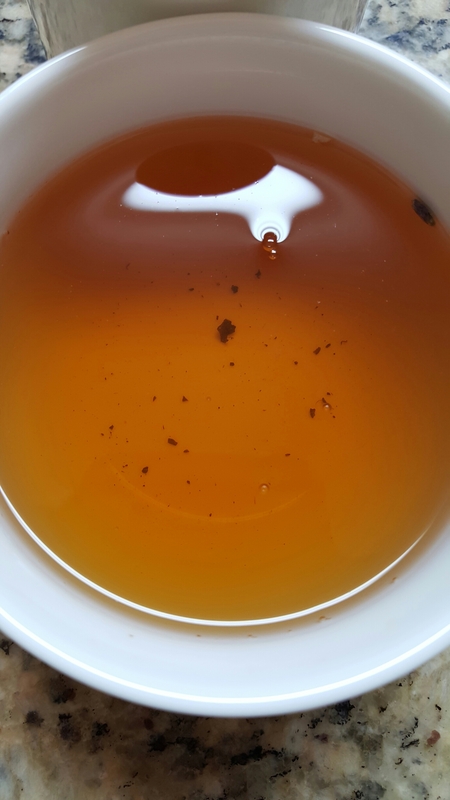 The liquor has a caramel color and the spices aren’t overwhelming, but aromatic in this tea. There is a medium body which is not astringent, but does have a slight aftertaste. Overall, I love this chai! I would definitely buy, drink AND recommend it! The spices aren’t overwhelming and the taste isn’t so harsh to need milk. However, I feel like it is versatile enough that it would be great steeped in milk, if you prefer that.